This is the definitive biography of the legendary guitarist whom Muddy Waters and B. B. King held in high esteem and who created the prototype for Clapton, Hendrix, Page, and those who followed. Bloomfield was a member of the Paul Butterfield Blues Band, which inspired a generation of white blues players; he played with Bob Dylan in the mid-1960s, when his guitar was a central component of Dylan's new rock sound on ""Like a Rolling Stone."" He then founded the Electric Flag, recorded Super Session with Al Kooper, backed Janis Joplin, and released at least twenty other albums despite debilitating substance abuse. 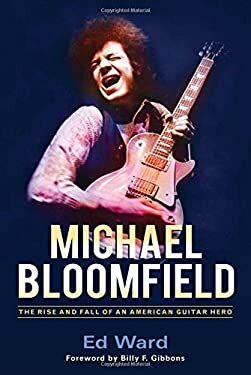 This book, based on extensive interviews with Bloomfield himself and with those who knew him best, and including an extensive discography and Bloomfield's memorable 1968 Rolling Stone interview, is an intimate portrait of one of the pioneers of rock guitar.